“I’m appalled that Gov. Walker thinks he can use our tax money for his own political gain. It’s simply inappropriate. Gov. Walker must pay back Wisconsin taxpayers for this abuse of power and any others during his time in the governor’s office. Below are records of Gov. Walker’s travel and news coverage of the related events. 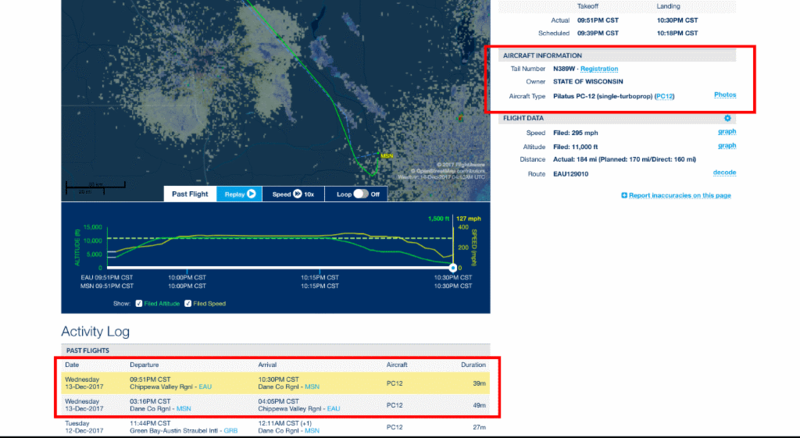 More than four hours lapse during which time Gov. Walker attends a private campaign fundraiser in Lake Wissota. Am I surprised? No. Angered? Yes. Walker been living off the taxes payers his whole life. Nothing new here. 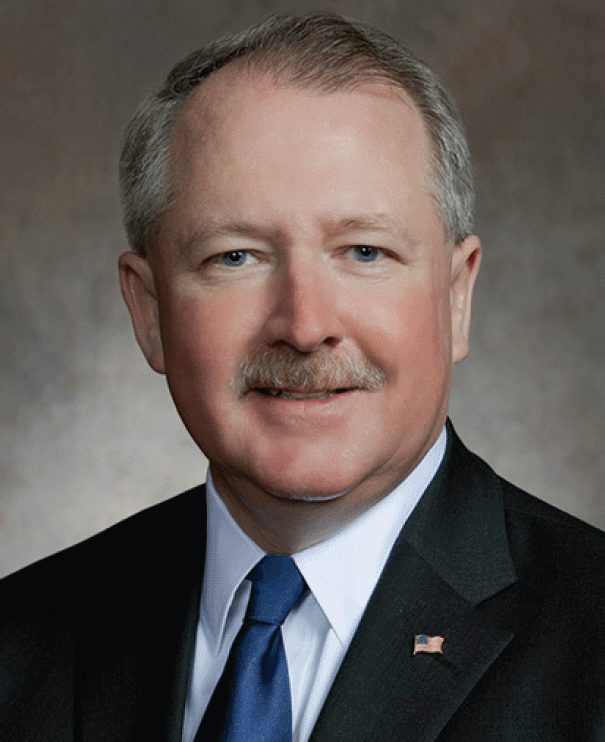 It sure would be great to see Dana Wachs’ plans for economic development for Wisconsin. Heck, he could even put them on his Web site. Wachs makes a good point here. 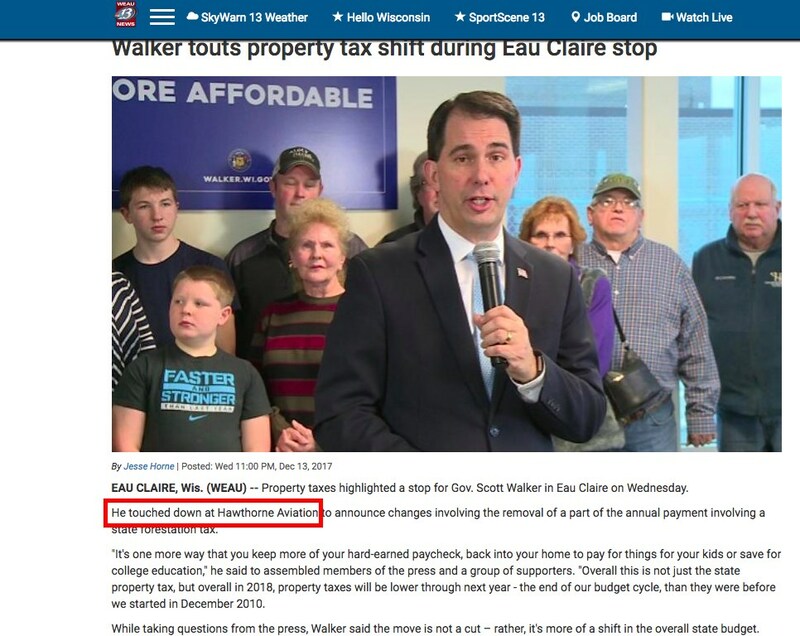 It is unseemly of Walker to devote 4 hours to fundraising near the home of one of his competitors after flying there on WI taxpayers dime for a brief press conference – one with political overtones, an event that in itself could be used as part of his incessant campaign for re-election. 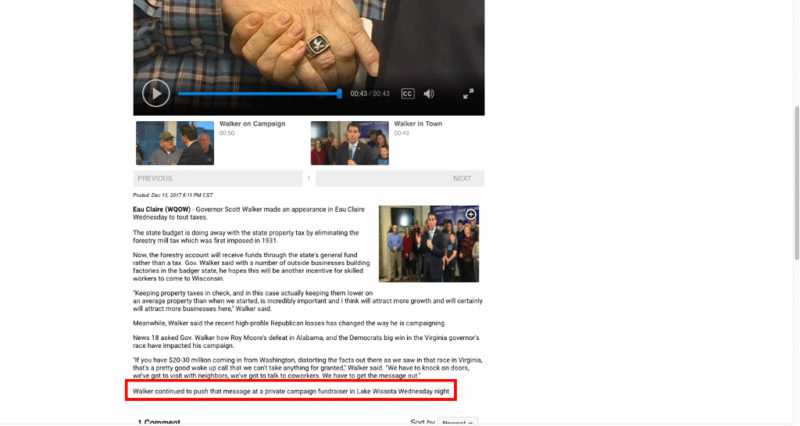 I would like to see some clarity and some honesty in Walker’s “plans for economic development for Wisconsin.” .